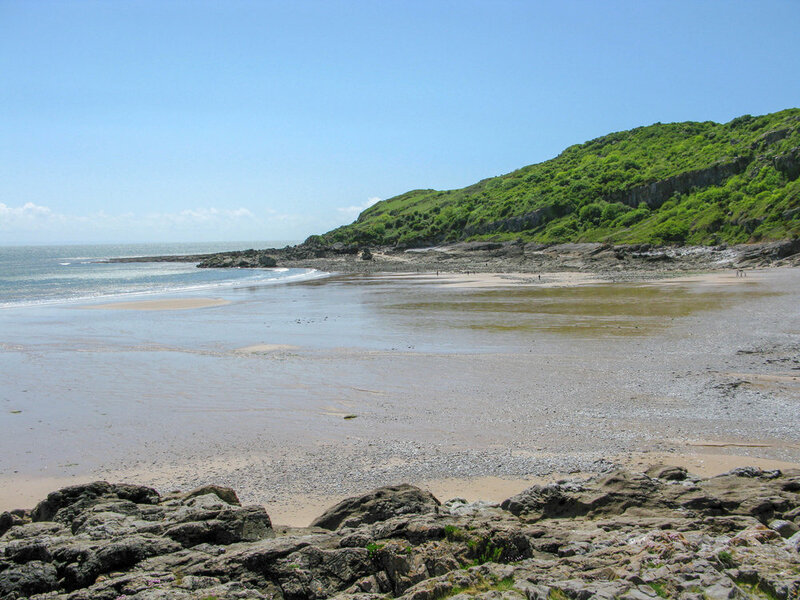 Pwll Du is a secluded bay at the end of Bishopston Valley. 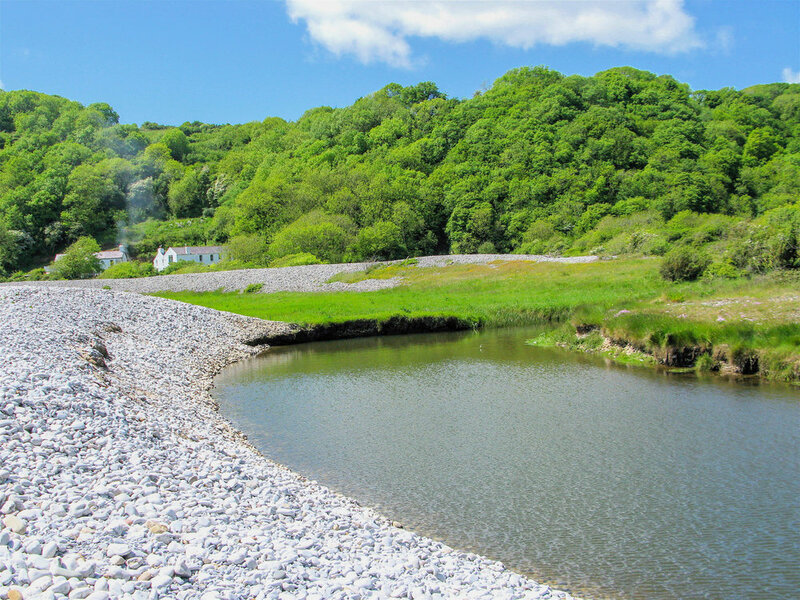 The beach is backed by a large bank of limestone pebbles with plenty of sand at low water, although this does vary throughout the year. 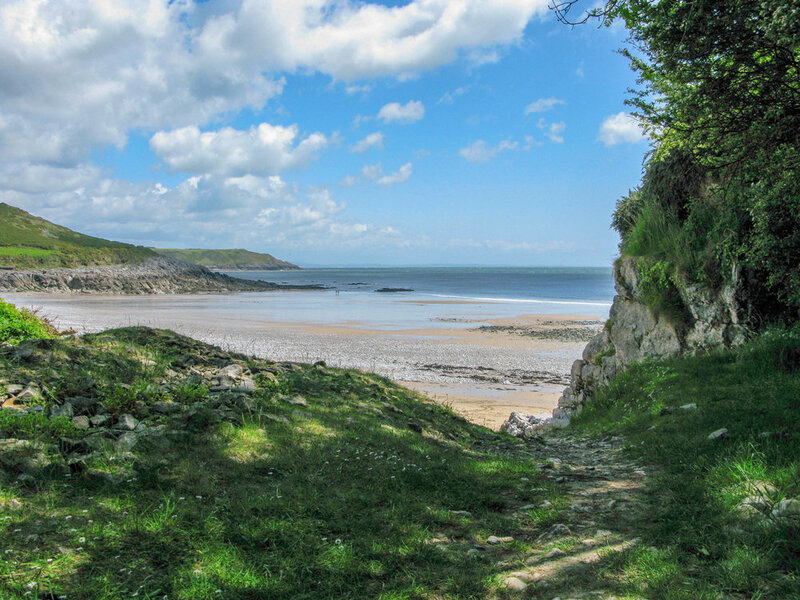 There are three different routes to Pwll Du. 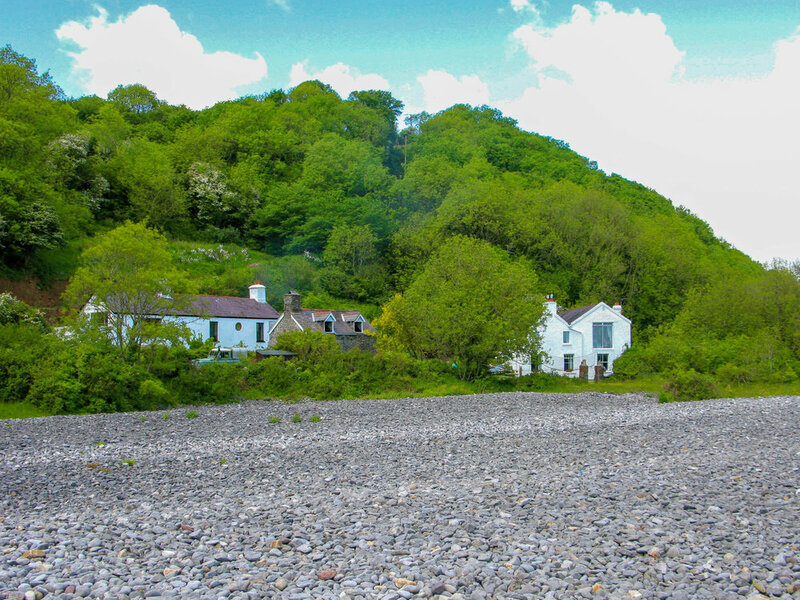 First is from Pyle Corner, Bishopston a one and a half mile walk down a narrow lane, second is from Kittle, a beautiful two to three mile walk through Bishopston Valley, last is from Southgate along the cliffs towards High Pennard, then down to the beach, about two miles. 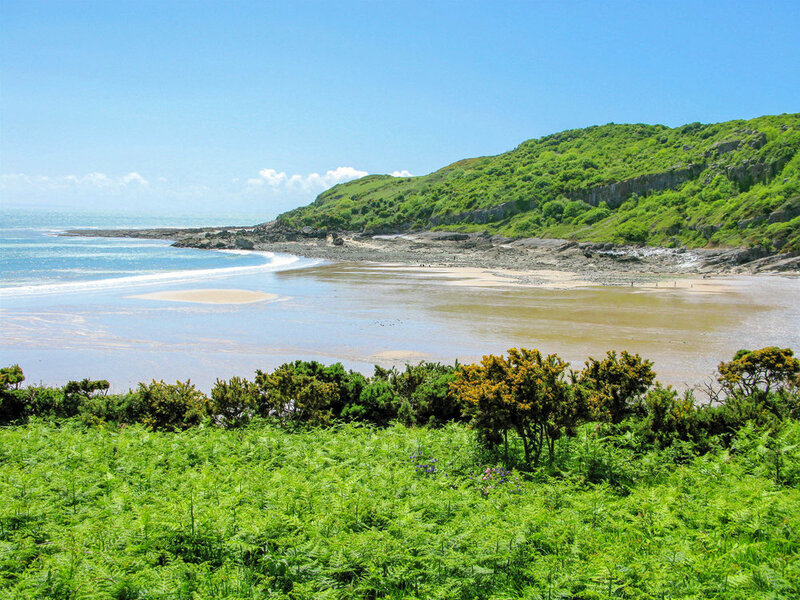 Swimming is safe in the bay, but do not swim near Pwll Du Point (West) as there are strong currents. WARNING: There is no Lifeguard patrol or phone at this beach.